There aren’t many things capable of sparking such summer nostalgia than a Slush Puppy machine. Just the sight of that dog licking its chops, while the luminously bright slush whirs round and round could give me a summery feeling in the depths of January. Now, I’ve just learnt it’s possible to buy one of your own, to put in your kitchen, and payday can’t come soon enough. 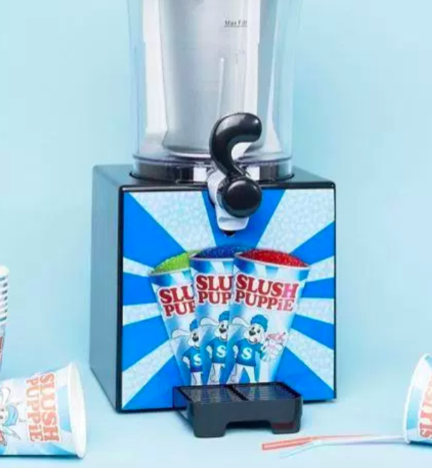 You can grab an iconic Slush Puppy Machine from ASOS for the surprisingly reasonable price of £59.99. Perfect for when you want your summer party to be a little bit on the quirky side. The machine can whip up a whole litre worth of slush, so there’ll be plenty to go around. Oh, and it comes with ten cups too, which is nice and handy. In all seriousness, it never occurred to me you could actually own one of these absolute beauties and the blue-tongued seven-year-old in me is extremely excited. All you have to do is purchase some official syrup – sadly not included but available at Menkind quite cheapish – and voila. Rainbow Drops? Bubble tape? Space Invaders? Maybe even a sophisticated platter of cheese-strings and Dairylea Dippers? Fizz Creations gets the mood just right with its innovative range of home accessories. Now, ASOS has saved many of us over the years; providing simple last minute solutions to many a night out outfit. However, they’ve really earned our love this time. I can promise you. I WILL HAVE MY OWN SLUSH PUPPIE MACHINE IN MY HOME!!! 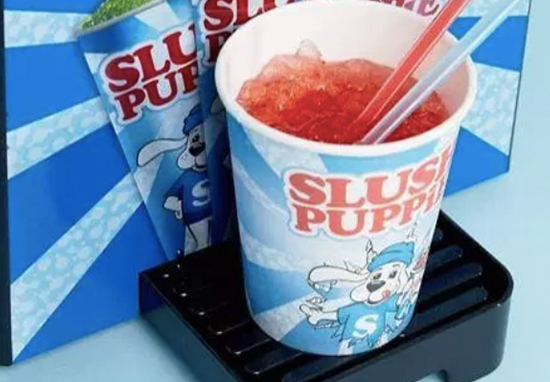 Finding out that ASOS is selling a Slush Puppie machine has made my life. Can I really justify buying a £60 Slush Puppie machine from ASOS? It seems we’re all about the slushies this summer. Coca Cola is set to launch its first Coke slushie and it sounds so fabulous, I’m genuinely surprised it’s only just been invented. Hitting Japan from April 16 onwards in picnic friendly pouches, this icy delight will have all the, frankly underrated, flavourings of lemon-flavoured Coke. Oh and if you happen to live in Japan then they’ll be sold at the recommended retail price of 130 yen ($1.21), which isn’t bad at all. Finding out that ASOS is selling a Slush Puppie machine has made my life ?? 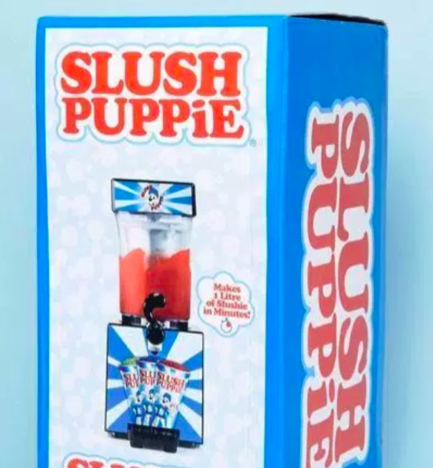 As if ASOS are selling slush puppie machines!!! Somewhat frustratingly, this fabulous fizz fest is currently out of stock. However, believe me when I say I’ll be checking every hour on the hour until said stock is replenished. The question remains: blue or red or just a deliciously frosty mish-mash of both?